Antique treasure hunts take place at any yard sale, car boot sale or flea market. The big question is, is it a piece of junk, or is it a geniune antique for a good price? Generally speaking, if your titbit has been repaired then the value will be reduced. Unless you are buying for yourself, don’t touch repaired stuff. If there are a few figurines the same then chances are you are on to a bad thing. Any nails made after 1880 are regular and mass produced. Before that they were hand made. If you are buying from a dealer, ask for a written guarantee including the item description. Look to see if the item has worn as you may expect with a piece of that age. Simulated wear can appear in seemingly odd places. An old saw has irregular spaces between the unevenly parallel scars. Priceminer.com, artfact.com and other online resources can be used to estimate the worth of your item? Old glue crystalises, unlike PVC. Older wooden furniture will have irregular spaces between the handmade corner joints. If you want to have a serious crack at it, a second opinion always helps. 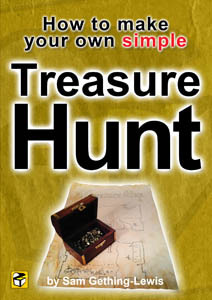 At Treasure Hunt Design we create actual treasure hunts for people to participate in, and we are NOT experts in antiques!